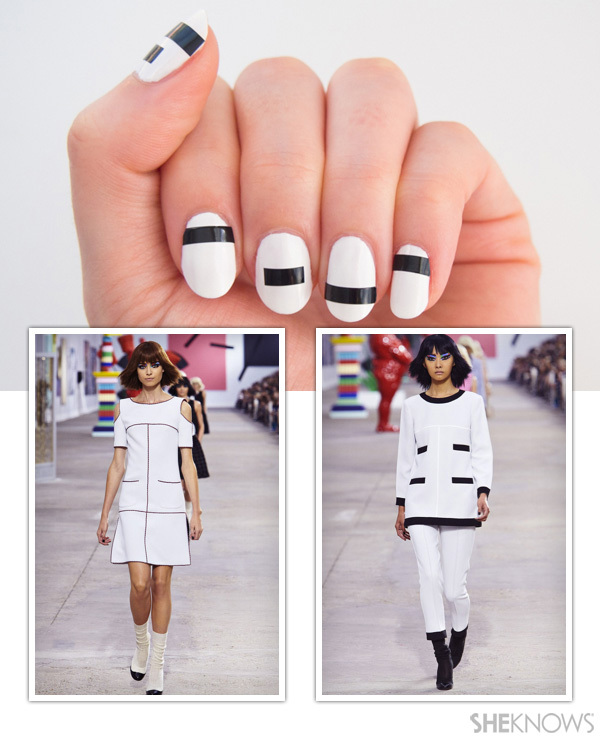 Inspired by a look from Chanel Spring 2014, we broke up a white mani with horizontal black lines. The result? A mod, minimal look using tape stickers. Rip off a few pieces of 1-inch long tape and secure to the edge of a table. 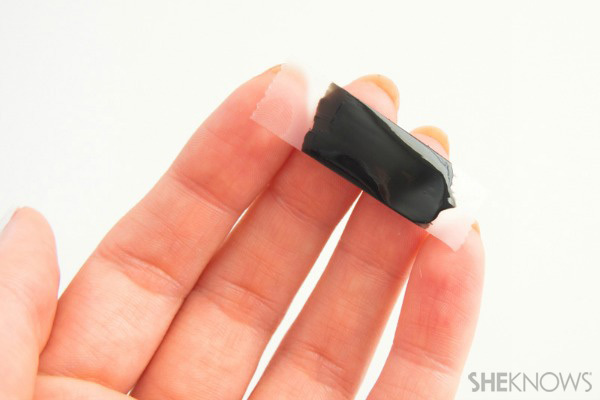 Hold the tape out with your finger and paint it with two coats of black polish. Let go and let it dry. While the tape is drying, give your nails an opaque white base coat. Let dry. 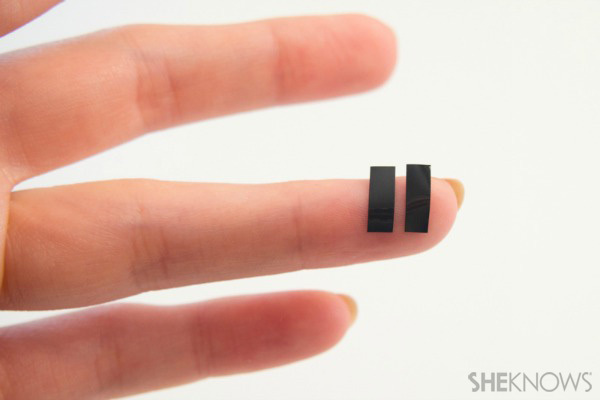 Trim a few small rectangles to use as ‘floaters’ inside the mani (they should be smaller than the width of your nail). Cut a few strips to use across the entire nail. 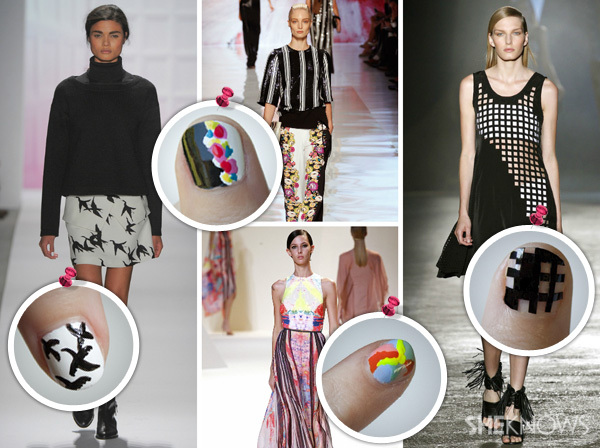 Plan where you want the design to go and place the pieces of tape on your nail accordingly. For the pieces that go totally across your nail, lay one end of tape down and trim to size before pressing the rest of the way down on the nail. Give it a coat or two of top coat and let dry.